Living in this rental property has been one catastrophe after another, each one seemingly more nightmarish than the last. But this is not that post. 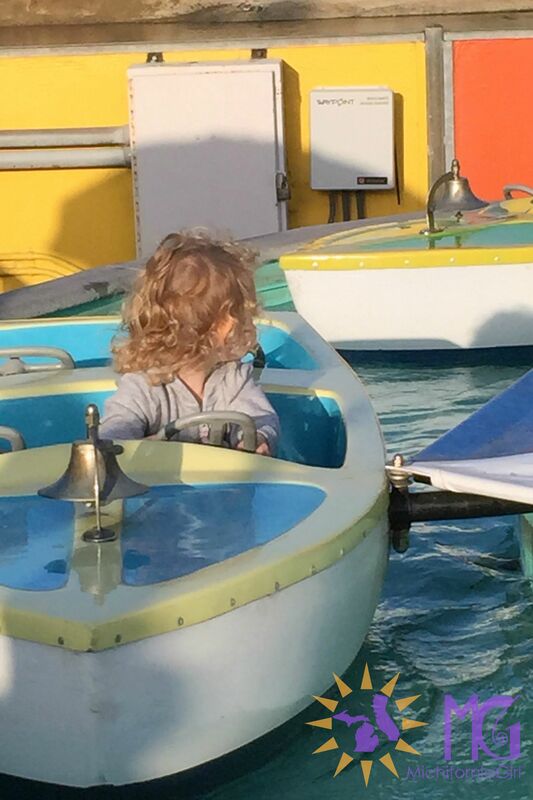 This post is Peaches and the ocean and kiddie rides and happiness. This past Saturday, Al and I figured it was finally time to ignore the stresses of moving and to explore some California fun with P. She’s seen lakes and swimming pools, but never the ocean — so we packed up and headed to Santa Cruz. She was absolutely mesmerized by all the people (and initially intimidated by the loud noises) as we crossed through one of the arcades and made our way toward the beach. The water was freezing, but I let the waves crash over my feet for a while because I can’t be at the ocean and NOT feel it in some way. Peaches was perfectly content to stare in awe from Daddy’s arms. She had no interest in taking an actual swim. Hopefully that will change eventually! 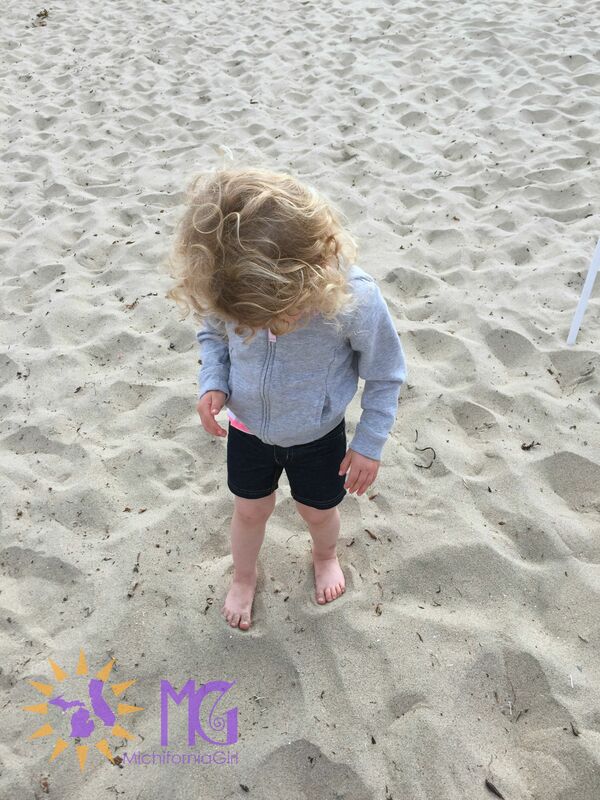 It took some convincing to get her to walk barefoot in the sand, but once she did, it was impossible to get her to leave. Maybe she’s my daughter, after all. Once we finally made our way to the boardwalk, she was even more enthralled. She wanted to ride EVERYTHING, but there were only a few meant specifically for kids. P chose the boats, the cars, and the dragon (Al accompanied her on the latter, since that one went pretty high and also featured a control lever). If I could show you her face, you would see PURE ELATION happening on every single ride. Smiling mouth agape, ginormous eyes, waving to us joyfully each time she circled around. Loves the sand = her mommy. Adrenaline junkie = SO NOT her mommy. Daddy all the way. By the way, I wish I’d thought to bring my DSLR for some better quality shots. I need to get better about that, but I’m always so nervous I’ll break it or something. Also, even though I’ve taken like two group beginner’s classes since acquiring the DSLR, the camera mechanics make sense for a minute and then I totally forget what I’m supposed to be doing. I try, but eventually I end up reverting to an auto setting. Photography blasphemy, I know. Any incredible shots I get (and I do manage a few!) are total luck. In fact, I haven’t even attempted to use my DSLR in the last few months — I’m not worthy! Okay, new goal. Must continue to try. Practice makes perfect and all that jazz. 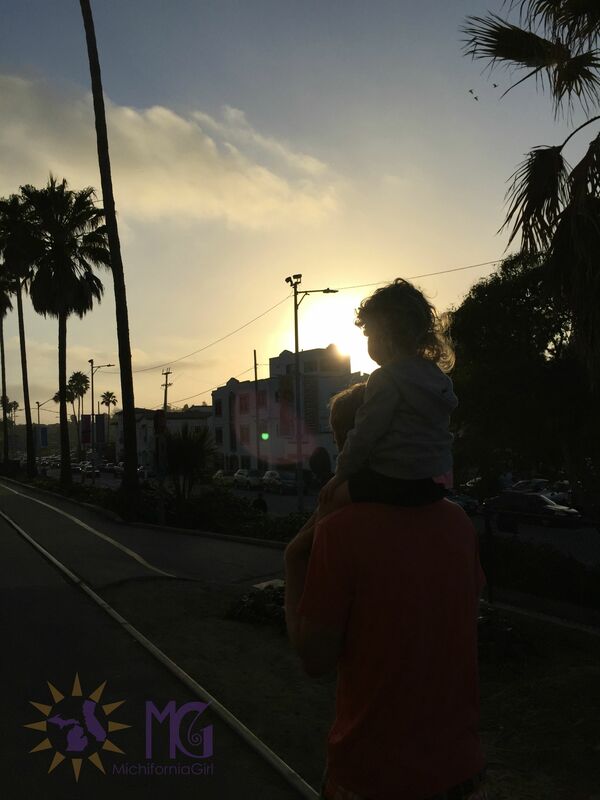 Peaches was a little tired after all those rides, so Daddy carried her into the sunset. We randomly chose a restaurant called Kianti’s in the downtown area; luckily, this was the one time in our lives that we did not read a single Yelp review, and we went in with zero expectations. The surprise element made things even more fun, so if you’re ever considering Kianti’s for a Friday or Saturday night, skip ahead! The server put some dough on the table for P to play with. Just…dough. Right on the table. Dough > crayons. She was entertained (and therefore well-behaved) until the food arrived. « Rodents and Spiders and Pests, Oh My! omg, do you live near the bay area? I moved to San Jose, Ca a few years ago and have been trying to save to buy a “decent” house but no luck. I literally think we can only afford a shack. We are starting to look outside but are lost… any help would be appreciated!! Traffic has been getting worse every day!